Darth Vader truly was forged in darkness. An exceptional piece of Star Wars-inspired artwork. Limited edition of only 150 hand-numbered pieces, signed by artist Raymond Swanland! Canvas print measures 30-inches tall x 15-inches wide. Forged in Darkness by artist Raymond Swanland is an exceptional piece of Star Wars-inspired artwork featuring Darth Vader. 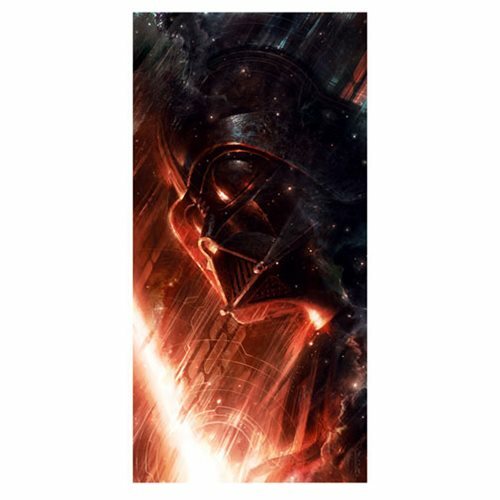 The unframed Star Wars Forged in Darkness by Raymond Swanland Small Canvas Giclee Art Print measures 30-inches tall x 15-inches wide. It's a limited edition of only 150 hand-numbered canvas pieces, signed by Raymond Swanland! Certificate of authenticity included.